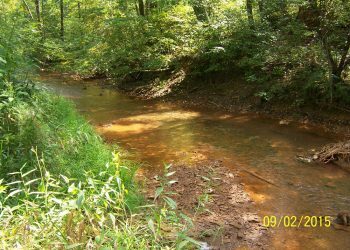 The Huff Run watershed, located in the Tuscarawas River Basin (HUC-11 05040001-080) was historically mined for coal through both surface mining and deep mining. 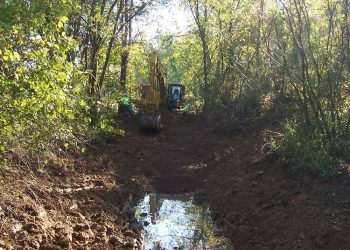 For 20 years, efforts of the watershed group along with State and Federal Agency cooperation have completed 20 remediation projects valued at over $6,000,000. 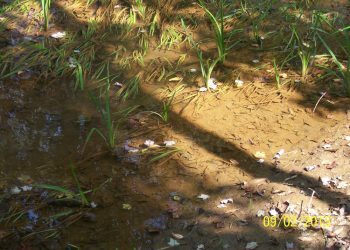 Restoration has been successful in improving chemical and biological water quality. Since AMD treatment was initiated, near neutral pH has been maintained in the Huff Run main stem. Pre-treatment acid load has been reduced by 100% and pre-treatment metal load by 54%. 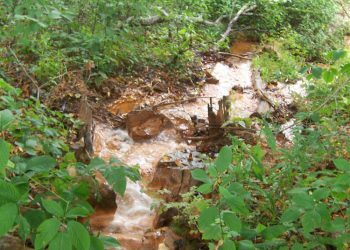 Although most new contributions of iron precipitate in the stream system has been eliminated, historic precipitates remain that are embedding stream substrates of Huff Run. Biological water quality data exists for the Huff Run main stem dating from 1996 to the present. Since 1996, the Index of Biotic Integrity (IBI) score at the mouth has increased from a 16 to a 30 putting it much closer to meeting the preferred WWH criteria. Macroinvertebrate populations have been slower to recover, showing only slight increases in Macroinvertebrate Aggregated Index for Streams (MAIS) scores from 2006 to 2014. This is due to the limited availability of microhabitat, caused by the excessive amount of iron precipitate remaining. 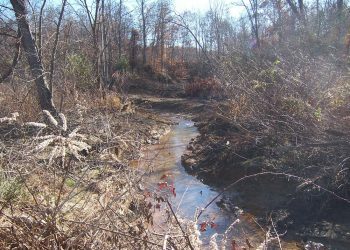 The goal for the Huff Run Stream Restoration project was to create a stable channel with clean substrates that will result in an ecosystem that will meet an aquatic life use designation of WWH. This was accomplished by implementing NCD principles involving both the creation of a new channel with width/depth ratios based upon a channel forming flow or bankfull discharge and improving current channel sections by adding new substrate materials. 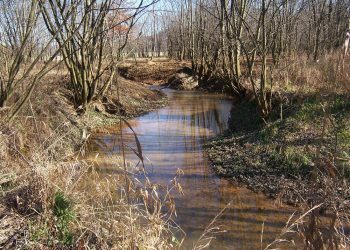 Stream restoration in the lower 2 miles has relocated the Huff Run channel to adjacent Category 3 wetland floodplain areas thus removing flow from legacy precipitate encrusted substrates that have limited macroinvertebrate life and therefore fish recovery. Restoration restored more than 8,278 linear feet of channel in three segments separated by roadways. All channel construction occurred in and around existing trees within the existing riparian area with minimal tree removal.